Techlogix strategizes and builds mobile applications on smartphones, tablets, and other Internet-enabled devices that help migrate organizations to a world where work-related information is accessible anywhere, anytime. A partner who has deep experience of implementing the multiple phases of an Enterprise Mobility program as well as the requisite technology and domain skills, can help you achieve leadership in a rapidly changing mobile landscape! Are you grappling with Mobility – the most disruptive technology faced by enterprises – as it untethers your business from its fixed location? Do you have an effective strategy to unlock the immense value it can provide to your enterprise? Are you concerned about the deep imprints it will have on your company’s business processes, IT infrastructure, and security policies? 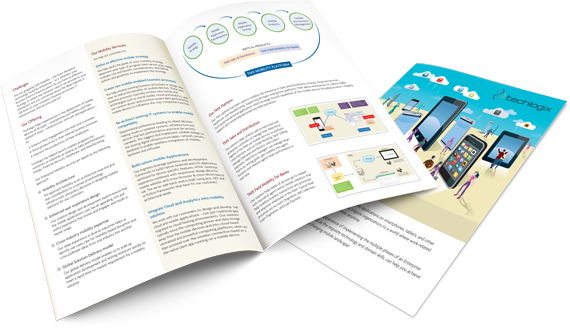 Enhance the organization’s engagement with its customers utilizing a new channel. Drive productivity in the organization’s internal business processes. Improve the productivity of the organization’s employees. Techlogix has helped launch mobility programs for customers in industries as diverse as Sales and Distribution, Energy, Financial Services, Healthcare, and Manufacturing. Having a partner who has deep experience of implementing the multiple phases of an Enterprise Mobility program as well as the requisite technology and domain skills, can help you achieve leadership in a rapidly changing mobile landscape. Our creative design and development experts ensure that the mobile application’s user has an appealing, rich and useful experience that invites, engages, and results in repeat usage. We approach Mobility as an architecture issue and give due consideration to a myriad of technology, infrastructure, and policy decisions in designing mobility solutions for our customers. Our deep experience in diverse industries helps us identify use-cases ripe for mobility-based disruption quite naturally and cross-pollinate ideas from one industry into another. Our global delivery model enables us to scale up application development and testing resources quickly to meet a rapid time-to-market requirement for a mobility solution. 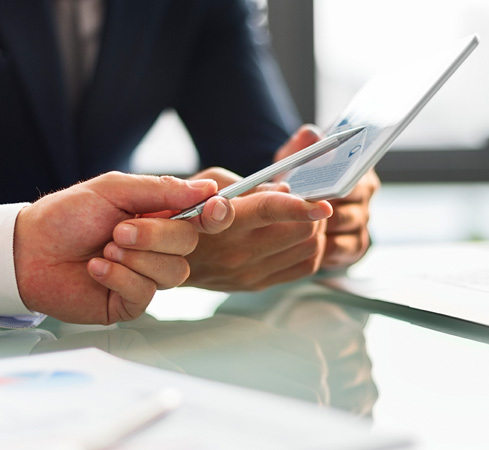 We help clarify your mobile goals, determine what type of program best serves your needs, evaluate cost and benefit considerations, and define policies and guidelines to implement the strategy. We help revamp existing business processes or design new ones to realize the potential benefits of mobile devices. 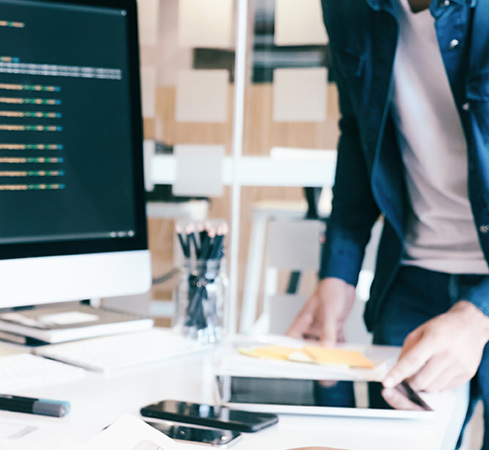 These new business processes typically involve new trends and technologies such as social media, cloud and analytics, and use context-driven and location-aware data to influence the way companies function. Departmental preferences leading to siloed decision-making results in isolated systems, infrastructure and services that lack performance and have lax security standards. We suggest and implement suitable changes to the existing digital infrastructure (apps, network, security, database) to enable seamless integration of mobility hardware and software. We work with our customers to design and develop “real” cloud and mobile applications – not just traditional apps migrated to cloud hosting environments. Our solutions typically move the computing power and data storage away from the mobile devices and into cloud-based centralized and powerful computing platforms, which are then accessed over the wireless connection based on a thin native client app running on a mobile device. Our TMX platform has been used to mobilize the enterprise in manufacturing, distribution, energy, and telecom industries. 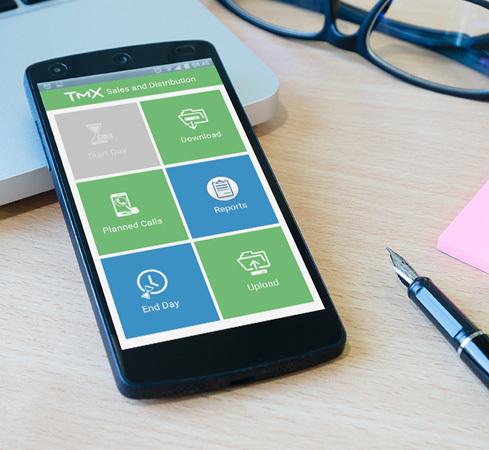 Supporting all major smartphone platforms, TMX allows enterprises to rollout highly functional transactional applications which leverage the full capabilities of the mobile device including location, imaging support and connected/disconnected field operations. Our solution helps small as well as mid-sized and enterprise customers to manage their field force. 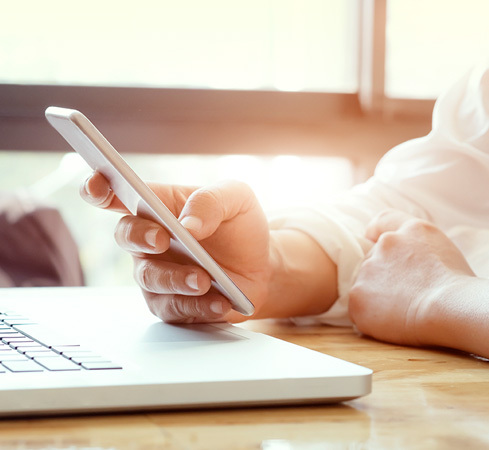 Agents in the field use mobile devices to perform core functions, such as Order Booking, Spot Selling, manage Deliveries and Returns, and collect payments. Field force managers can manage large teams by setting goals, gain visibility into agent location and measure agent/team performance in real-time. Data is synchronized in real-time using a 3G/4G connection on the smartphone or at day end by syncing with a computer. All transactions are tagged, aggregated and analyzed across products, locations and agents. 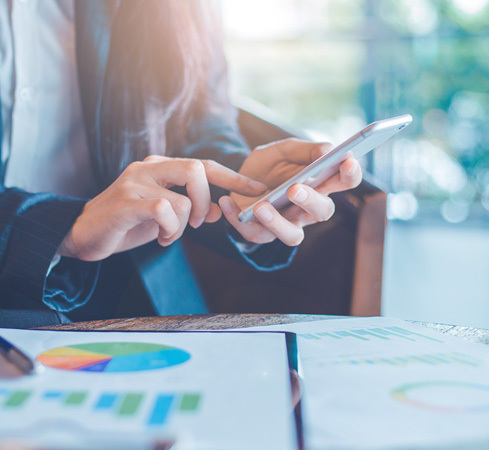 Our solution helps banks of all sizes go to market with innovative agent-centric mobile solutions that help mobilize business transactions and processes and empower employees in the field. Typical field processes are Account Origination, Bill Collection, Loan Origination, and Loan Payment. By defining Alerts & Notifications, Banks can communicate directly with their field agents in real-time. Techlogix has developed a digital health platform for remote health monitoring using smart phones and tablets for Neutrino Medical. The platform connects patients with their healthcare providers, enabling periodic updates on their condition between face-to-face visits. Developed on a proprietary survey engine, the system generates a set of questions targeted to the patient’s specific health history. Predictive analytics are used to create a cumulative health score to alert healthcare providers of significant changes that may indicate a health issue. The system is in use on a group of patients to document effectiveness in reducing the readmission rate at two US hospitals. Copyright © Techlogix. All rights reserved.